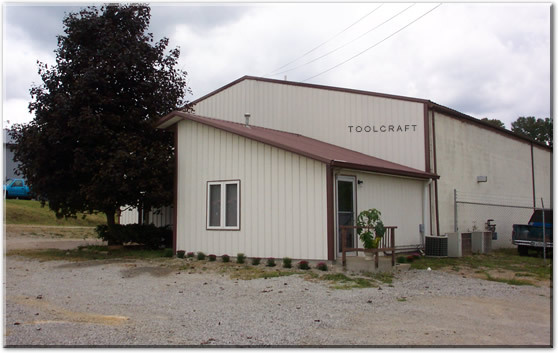 As of September, 2003, ToolCraft Co. is under new ownership and Management. We are eager to assist you with your current project or to discuss your future needs. Dedicated to providing you with the best service possible and the highest quality parts, Toolcraft is more than just a Job Shop. We are ready and able to handle most anything that you might need from a Machine and Fabrication Shop, right here on our premises. We are comitted to rapid turn around of Repair/Replacement parts in a Breakdown situation and will pick-up and deliver to and from your facility. We can provide Custom Machining, Production Machining, Rough Cut, Welding, and Steel and Aluminum welding and Fabrication services. We offer Flat Surface Grinding, and Cylindrical Grinding. Toolcraft has recently acquired a Cincinnati Cylindrical Grinder capable of grinding 14-3/4 inches in diameter and 72 inches in length. We have a Heat Treat Oven on site as well. We have a CNC Vertical Mill and 2 CNC Turning Lathes for your large quantity production jobs, or for that one-of-a-kind complicated part. We have just taken delivery on a Mazak CNC lathe with 22 inch x 81 inch long capacity. We can handle large Lathe and Mill work as well as any other smaller job. Our shop Equipment includes several manual Vertical Mills and medium sized Turning Lathes. We can assist with the Design and Development of your project. We have fabricated many unique Prototypes for many Customers. We do our own Cadd Drawings from your parts or sketches, and Program our CNC equipment from these Cadd files, or from .DWG, .DXF ,or .IGES files that you provide. We are currently contacting some of our past customers to reintroduce ourselves and emphasize our new energy, dedication, and enthusiasm for this adventure. Located 17 miles northeast of Louisville, in Buckner, KY, at exit 17 off I-71, we are convenient to the Interstate for shipping and receiving. Walk-in customers are also welcome. Take a look around our shop and at some of our recently manufactured parts through the links at the the bottom of the page, and then give us a call or Fax us a Request for a Quote. We will be in touch with you very soon. Click the EMPLOYMENT link at the bottom of the page for Machinist Positions, or other machine shop jobs that may be available. We thank you for your interest, and look forward to doing business with you, soon.